AFTER a prolonged tug-of-war among its partners, the ‘Mahagathbandhan’ (Grand Alliance) in Bihar finally allocated all of the 40 Lok Sabha seats on Friday, announcing candidature of RJD leaders Misa Bharti and Abdul Bari Siddiqui from Darbhanga and Pataliputra respectively, besides Congress’ Meira Kumar from Sasaram. The RJD has got 20 seats, out of which it is giving up one for CPI(ML), the Congress has nine, followed by five for Upendra Kushwaha’s RLSP and three each for Jitan Ram Manjhi’s HAM and Mukesh Sahni’s VIP. The announcement was made by Tejashwi Yadav at a press conference, but absence of any senior Congress leader on the occasion showed the party’s displeasure over arm-twisting by Lalu Prasad’s RJD. The announcement of Abdul Bari Siddiqui’s name from Darbhanga draws the curtains on possibility of sitting MP Kirti Azad seeking re-election as a Congress candidate, who recently joined the party after quitting the BJP. 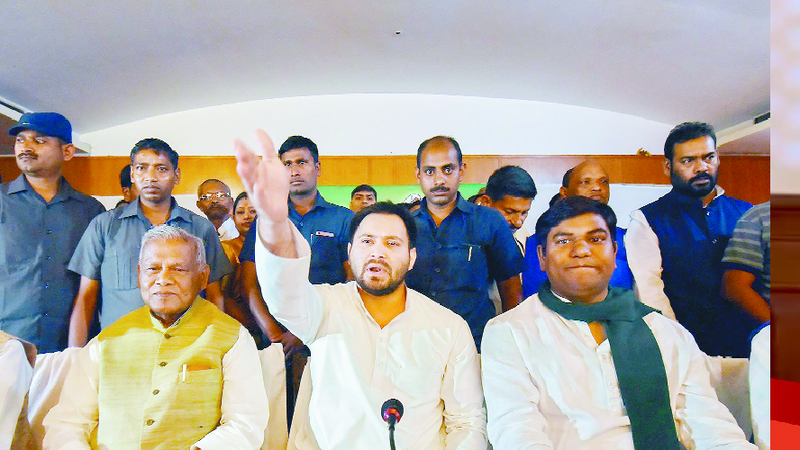 Tejashwi Yadav also announced that the RJD would be fielding Tanveer Hassan in Begusarai. Speculation is rife that the absence of senior Congress leaders at the press conference, where former MLC Narendra Kumar Singh was a representative, is an indication of its leadership being sore over being arm-twisted by the RJD to give up its claim on the seat, resulting in an embarrassment to AICC chief Rahul Gandhi, who inducted Azad with fanfare.